It can be used as a thin set mortar for ceramic tile and natural stone for both walls and floors in interior and exterior applications. It is recommended for use in the thin set installation method for absorptive, semi-vitreous and vitreous tile over properly prepared masonry, concrete, cement backer board, and existing ceramic tile. In interior dry areas, it is suitable for gypsum board and plywood substrates. 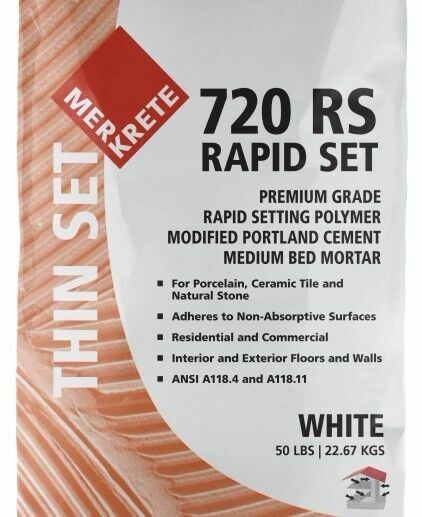 720 Rapid Set is suitable for both residential and commercial construction.